The minilogue xd is the latest addition to Korg’s popular ‘logue’ family of synthesisers and really feels like the culmination their analog journey over the last few years, packing in so much of what we’ve come to love about their instruments. 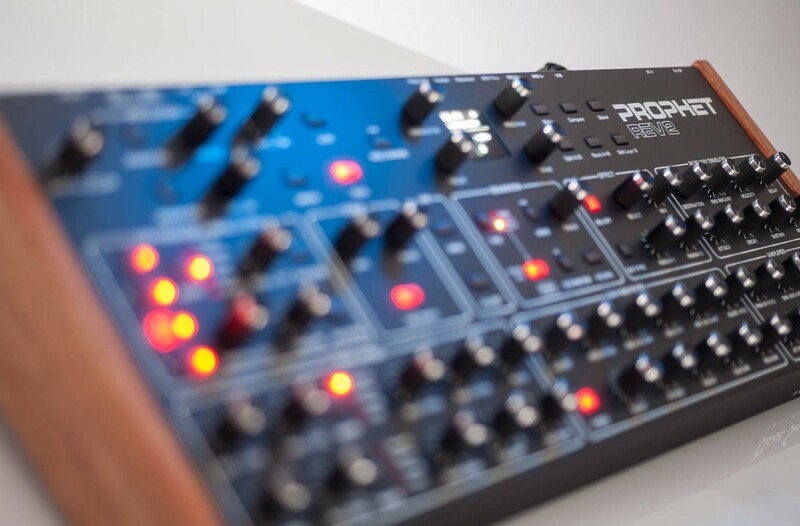 It retains the form factor of the original minilogue, and adds some incredible features, including an expanded sequencer and microtuning functionality borrowed from the monologue, as well as the multi-engine oscillator and super high-quality effects from their flagship prologue synth. And this is on top of numerous other additions including a larger display, an X-Y joystick and control voltage connectivity. Architecture wise, the big new addition here is the multi-engine oscillator for a total of three oscillators per voice when using the polyphonic voice mode. In unison voice mode all 12 oscillators are stacked in mono. 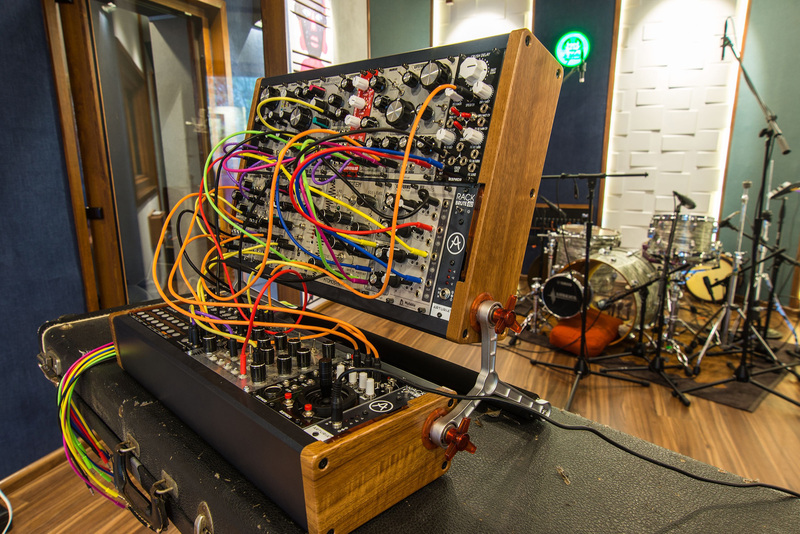 As on the prologue, the multi-engine oscillator is capable of producing a variety of interesting and complex sounds which can’t be achieved with analog components. The multi-engine has three modes accessed via a three position switch. In each mode, the type knob selects your starting sound, and the shape knob modifies the sounds somehow. Additional multi-engine parameters can be accessed via the menu but there’s plenty of tweaking potential using just with the front panel controls. The first multi-engine mode is noise which has four variations each with their own filter controlled by the shape knob. The main mode you’ll likely find yourself using is VPM (Variable Phase Modulation), which is capable of a huge range of FM sounds that sound great on their own, but sound even better when mixed with minilogue xd’s two analog oscillators. In this mode, the type knob selects one of the 15 available VPM oscillator variations which are actually a pair of oscillators. As is the case with FM synthesis, one oscillator acts as the carrier and one as the modulator. 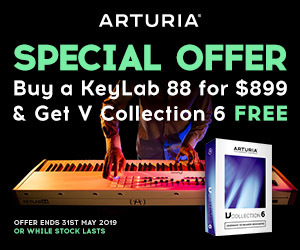 There are a huge range of sounds here from your typical pair of sine waves through to really unusual experimental sounds which bear more of a resemblance to wavetables than FM synthesis. Lastly, the ‘User’ Multi-Engine mode allows you to upload custom user oscillators, or if you have a bit of coding experience under your belt, you can use the free SDK to program your own oscillator. This is one aspect that made the prologue so unique and really exemplifies the flexibility of the Multi-Engine. Not only does it ship with plenty of interesting oscillators out of the box, but it’s only going to get better over time as more user oscillators are released online, either free or commercially. 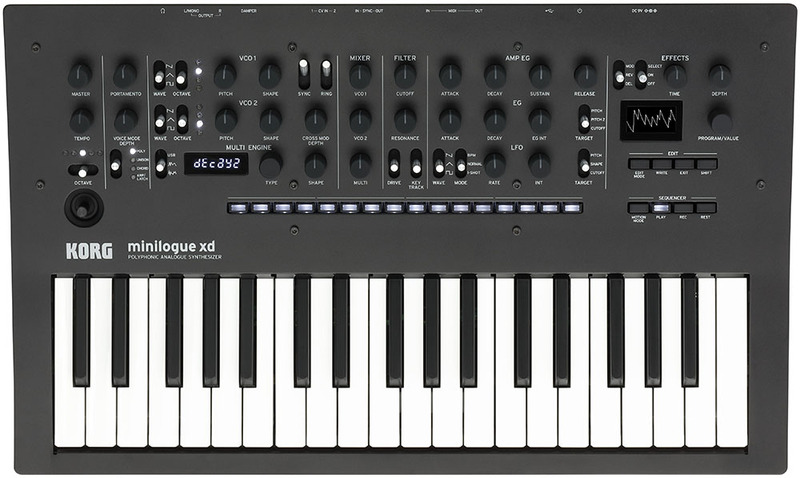 There was already plenty of enthusiasm for the multi engine when it was announced as part of Korg’s flagship prologue synth, but it’s presence in the much more affordable minilogue xd means this great new technology is now even more accessible to a wider range of people. This can only mean that more coders are going to be jumping onto the SDK given the (highly-likely) imminent multi engine user base increase. It’s worth noting that oscillators programmed for the Multi-Engine can be utilised in both the prologue and the minilogue xd. Another feature taken from the prologue is the effects section, and it’s hard to overstate just how nice these effects are. You can really hear the quality shine through in the reverb decay. Three effect types are available: modulation, reverb and delay, all of which can be used simultaneously. Just choose an effect with the first switch, enable it with the second switch and flick up to choose variations. In the case of modulation effects, holding shift and flicking up will choose sub-variations. But not everything new here has been taken from the prologue. The sequencer has been expanded from the original minilogue, taking cues from the monologue. 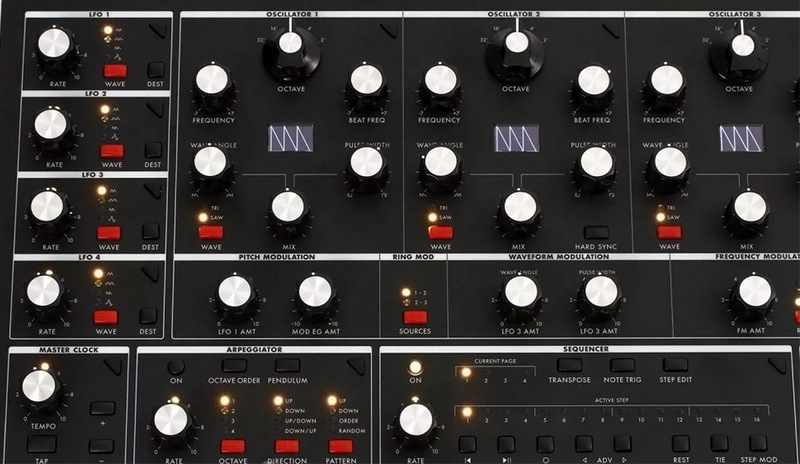 By exploring the factory presets you can see just how capable the sequencer is. 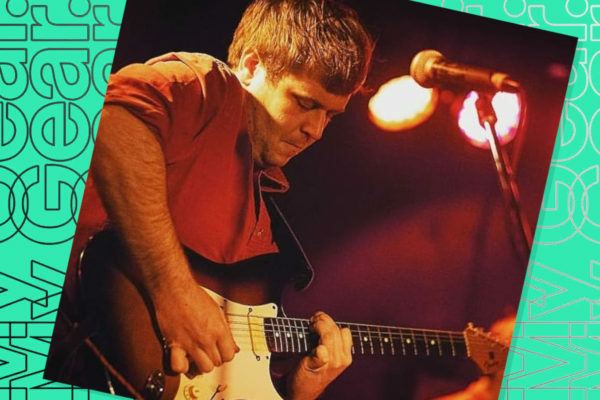 There are also some clever tricks you can employ such as automating the voice mode or the multi engine oscillator type to help squeeze a lot of mileage out of just 16 steps. Also new to the minilogue xd is the addition of a joystick for control over two or even three simultaneous parameters. For example, on patch #2, moving the joystick left and right controls pitch bend, while pushing it up adds vibrato, and pulling it down control VPM modulation depth. The minilogue xd’s display is substantially larger than any of its siblings and this is especially noticeable when there is a lot of text packed on the screen, such as the shift function cheat displayed when holding the shift key down. And together with the joystick, the larger screen makes playing games a lot of fun, but I won’t ruin the surprise. You’ll have to try this one out for yourself. There are plenty of additional new features which I briefly touched upon earlier including the micro-tuning functionality from the monologue, allowing you to venture outside of equal temperament tuning and even create your own custom tunings, Two control voltage inputs are present as well, which allow two minilogue xd parameters to be controlled via outboard analog gear, such as a sequencer or a modular synth. 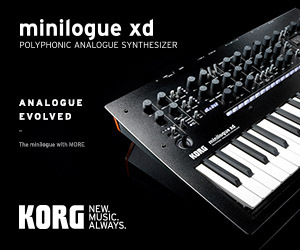 Check out the minilogue xd via the Korg website here, or better yet – got try one in person at your local Korg dealer.